Old Navy is offering 50% off their entire store & up to 50% off everything online. 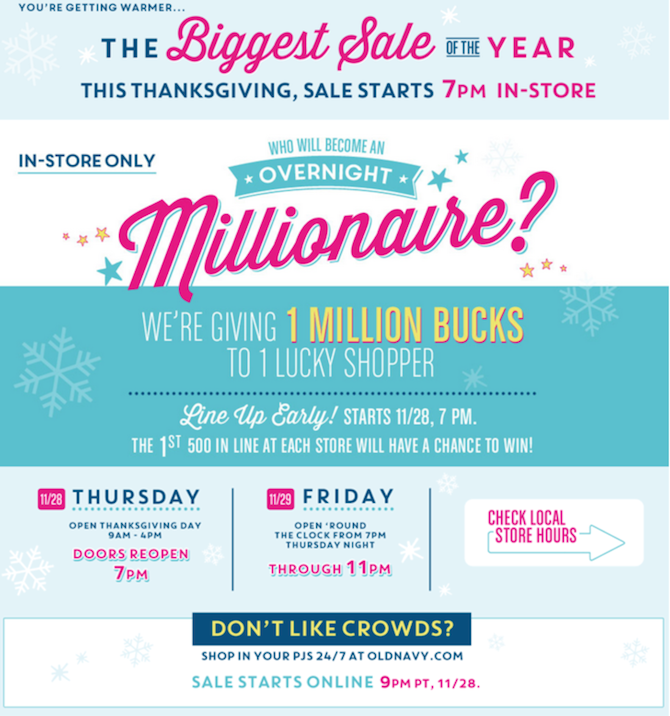 Old Navy Black Friday sales start in-store on 11/28 from 9am-4pm and on Oldnavy.com the deals start on 11/28 at 9pm PST. Also be one of the first 500 people in line to have a chance to win a part of the 1 million bucks they are giving away!